Here it is tough vehicle that can groom by the employer or construction companies, mining and others. 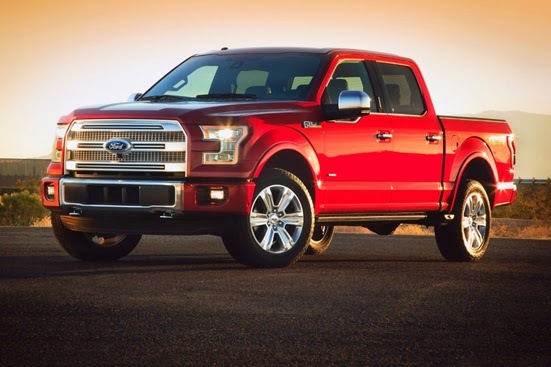 All-New Ford F-150 now comes more resilient and stronger than previous models. Ford F-150 2015 built on a frame of steel which is completely new and powerful. While the body is made of strong aluminum. All-New Ford F-150 has a weight of 315 kg lighter than the previous model. Modern impression visible from the front lamp design and rear, and side mirrors, which adheres to the LED. Meanwhile Tailgate (door-aft) can be operated remotely via the key fob. 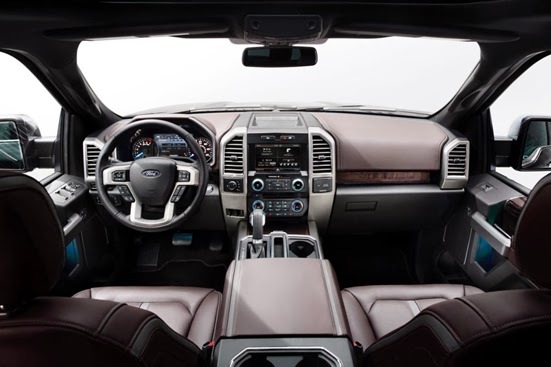 Additionally, the All New Ford F-15 is also equipped with modern features such as Blind Spot Information System with cross-traffic alert (detects vehicles that come into the area driver's blind spot when driving forward and backward), Lane-Keeping System, adaptive cruise control, Curve Control (provide braking 4-wheel aggressively when the car went into the corner too fast). 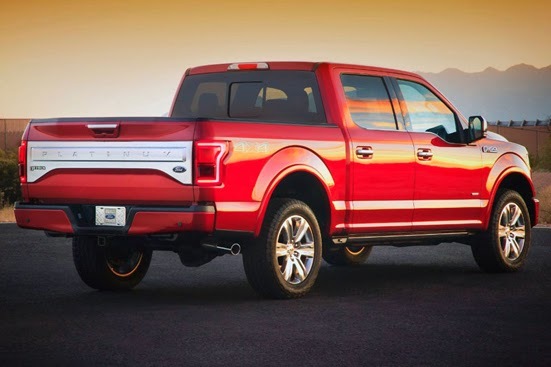 Ford will offer the New Ford F-150 2015 in 4 engine options namely EcoBoost 2.7-liter with Auto Start-Stop, V6 3.5-liter with twin independent variable camshaft timing (Ti-VCT), EcoBoost 3.5-liter and EcoBoost 5.0-liter Ti-VCT. EcoBoost machines supported by the Active Grille Shutters-open when the engine needs extra cooling while at low speeds or in traffic jams (stop-and-go) or hot weather. AGS automatically shut down to reduces aerodynamic drag when the car speeding.